Quality self improvement and leadership programs no longer need to be so costly. Today there are amazing resources available, free to anyone who has a desire for self improvement or to improve their leadership skills. No matter how strong you currently are in your personal or professional life, you can and must continue to strive for improvement. This page is dedicated to helping you do that. Great leaders understand that their journey toward personal growth is, in fact, a journey - it's not about reading a single book, or watching a certain seminar or attending the ultimate 90-day course. As leadership expert John Maxwell often says: "God prepares leaders in a slow-cooker, not in a microwave oven." Leaders understand that if you aren't growing, you're dying - there is no neutral. Your leadership development journey must be ongoing. You can only lead people up to the level of your own leadership knowledge. Therefore, if you are not constantly learning and growing, you will create a ceiling on your ability to lead others to a higher level. 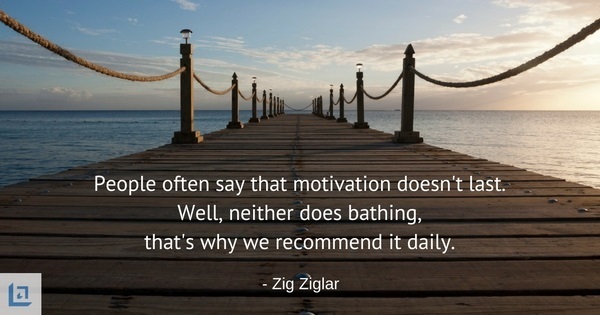 The same is true for self improvement - if you stop learning and growing in your personal development, you are limiting your opportunity, and that of your team, to achieve at greater levels. Get ready to be introduced to some amazing self improvement and leadership resources - which do not cost you anything other than your time to learn from world-class speakers and instructors. The people we are about to introduce will share their most valuable and powerful self improvement and leadership lessons, which will enable you to be more confident; more productive, and ultimately more successful in both your personal and professional life. So sit back with a cup of coffee (or favorite glass of wine) and enjoy meeting some folks that we believe will add considerable value to your personal development and leadership journey. Leadership-Tools.com has researched many self improvement and leadership programs over the years. Most of the programs we've reviewed do not appear on our website simply because the material is, in our opinion, priced way too high or just doesn't meet our quality standards. With new technology on your side, you no longer need to spend hundreds or thousands of dollars to access high quality self improvement and leadership development material. However, it does take time to wade through all the available resources and pick out the best training resources that are just right for you and your team. Good news, that's where we come in - we've done all the heavy lifting for you. In order to ensure continuous learning and personal growth, take an opportunity to set yourself up for success. Below are two simple steps you can take to ensure that you are learning and growing on a daily basis. Feed your mind with daily doses of positive and motivational thoughts. Fuel yourself with daily nuggets of timeless self improvement and leadership wisdom that will help you to maintain a positive and thoughtful mindset. This isn't rocket science folks. If you're serious about personal and professional development, then we encourage you to expose yourself on a daily basis to wise words and inspirational messages that keep you focused and motivated on achieving your goals. The steps to greatness are best delivered by someone who has already learned the hard lessons. It's a bonus when that person has a passion to share their lessons learned. John Maxwell is a world-class speaker and teacher on the subject of self improvement and leadership development. Sign up to receive free daily video message focused on self improvement and leadership lessons. It's a common practice for successful people to find energy and inspiration from the words of people who have blazed the trail before them. Enhance your chances for success by adding fuel to your day from the best self improvement, leadership and motivational quotes on record. Sign up to receive free daily motivational quotes. Listening to topical interviews can provide valuable insights into what drives highly successful people and how they approach and overcome challenges. Unlike talking from prepared statements or presenting a fine-tuned speech, the person being interviewed doesn't always know in advance what questions will be asked. The interview format provides a unique view into the person and his or her ability to think on their feet. In addition, an interview can often test a subject on just how well they know their own material. Some material can contain references to God and religion, or some level of profanity. Always watch the entire video before sharing with your team to ensure that you feel the material is appropriate for your workplace. Consider watching interviews such as these as part of your self improvement and leadership development plan. Mr. Ziglar shares tales from his early years as a struggling salesman and how he went on to become a top sales leader at multiple companies. His sales success later propelled him to an amazing career as one of the most well known and respected motivational speakers and trainers in the world. 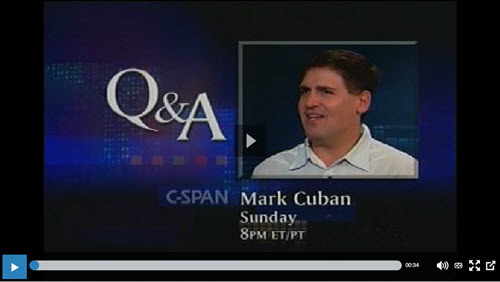 Mark Cuban discusses his experience as an entrepreneur, where ultimately he became billionaire. He talks about how his success has impacted his life. Cuban also provides insights into his involvement in sports, where he is now the owner of the Dallas Mavericks NBA basketball team - and many other impressive endeavors. Tony was invited to MarieTV to discuss the movie, I Am Not Your Guru, which is pulls back the veil of his work as a motivational coach and success trainer. Tony also talks openly about his family life and work. Watch and hear Tony's advice on what you can do right now to improve your life and meet your goals. Rachel Hanfling is a media producer and strategist. She has worked with top names in media such as Anderson Cooper and Oprah Winfrey. Here she shares easy steps to simplify important messages to more effectively achieve the results you desire for your team and for yourself. 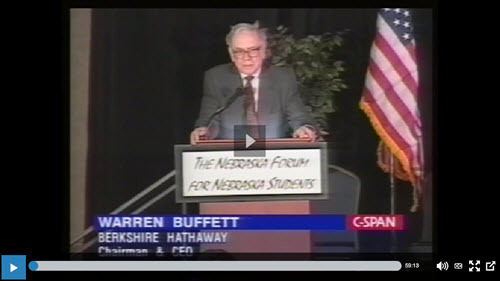 Mr. Buffett speaks to students at the Nebraska Forum about how to build a successful financial future by taking steps to avoid debt and live within your means. He also takes time to answer questions from the students. 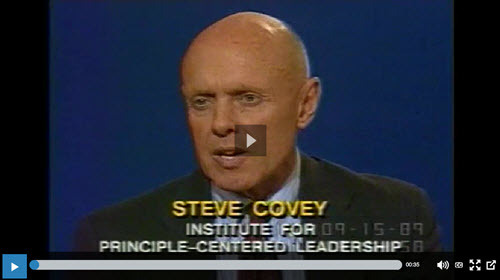 Covey discusses the benefits and pitfalls of different leadership styles and how being an ethical leader is paramount to the long-term success of every leader. Covey is the author of the highly acclaimed book, The 7 Habits of Highly Successful People. 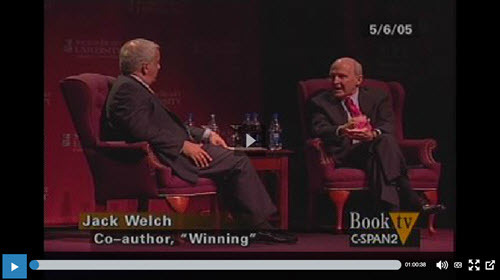 Jack Welch discusses his book Winning, where he shares insights to his business and success rules that served him so well as the leader of GE. The interview takes place Sacred Heart University’s School of Business, where he also takes questions from attending students. 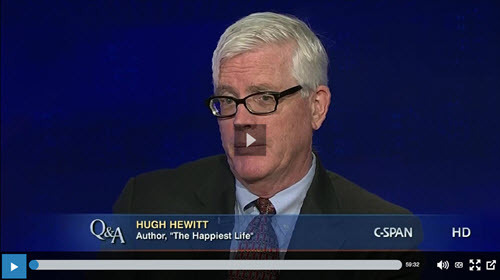 Hugh Hewitt is a national radio talk show host and he shares interesting stories about his career in media. During this interview he also talks about his book, The Happiest Life: Seven Gifts, Seven Givers, and the Secret to Genuine Success. Why not invite a world-class expert to address staff at your next team meeting? It's easy to do and it costs you absolutely nothing. With minimal audio/visual support (laptop and a monitor or projector) you can introduce your team to the world's best leadership training. The fact that you have the insight to bring this level of expertise to your team, and to your business or company, will be recognized by your team, peers and upper management as being savvy, creative, thoughtful and forward-looking. 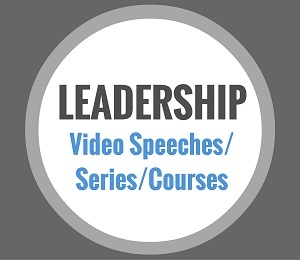 Today there are so many different sources of leadership speeches and presentations worthy of your consideration. YouTube is a common source for video that hosts countless leadership speeches and presentations offered by well established speakers. There are some terrific sources for ongoing training such as TedTalks, GoogleTalks, Podcasts and many more. Check out these hand-picked selections and consider how you might leverage this valuable content for the benefit of your team and organization. Ken Blanchard is a highly respected expert on the subject of leadership. He is the author of The One Minute Manager, Raving Fans, and many other successful books. Here he discusses how you can lead your people to new levels of success. At the time of this speech Randy Pausch, a Carnegie Mellon Professor, knew he had a terminal illness. During this speech he provides time management strategies to improve the quality in all areas of your life. Sheryl Sandberg is the COO at Facebook. She is passionate about helping girls and women to become successful leaders. Listen to learn her three key tips to make it in a high powered leadership position as a woman. Amy Cuddy, a social psychologist and body language expert, explains why body language is important and how to use it to your advantage. She also shares an inspiring personal story of grit and persistence that resulted in her "making it". Jim Kouzes is a co-author of The Leadership Challenge. This presentation was made to employees of Google via the online series,GoogleTalks. Learn the most important findings about leadership. Chris Warner makes a presentation on his successful book High Altitude Leadership to employees at Google's California headquarters. Earvin "Magic" Johnson discusses his book 32 Ways to Be a Champion in Business. Following his first career as a NBA All-Star, he went on to create magic as an entrepreneur by applying key principles. Jeffrey Pfeffer is a Standford Professor and author of Leadership BS, where he unveils the truth about how too often leadership is applied in the workplace and why too many so-called leaders screw things up. Dan Pink, an admittedly failed lawyer - now a social scientist, shares his findings on just how well monetary incentives work to successfully motivate employees. His findings are simple yet powerful and worthy of your time. Here we've selected some great courses and workshops that provide more in-depth material on the subjects of self improvement and leadership development. While some people just want to hear the key points and run with it, others prefer to dive into the details and really soak up the material. The following selections provide just a sampling of what is available, and again, it's all free so there's really no good excuse for not sharing quality leadership training with your team members. They will definitely thank you for it. Reminder: Some material can contain references to God and religion, or even some level of profanity. Be sure to watch the entire video before sharing with your team to ensure that you feel the material is appropriate for your workplace. ﻿This is a selection of 27 short video messages from Dave Ramsey, national radio host founder of EntreLeadership. Hear Ramsey share leadership lessons, personal rants and professional insights on how to be a successful business leader. On 9/11, the United States was attacked by terrorists. We all remember where we were when it happened. Tony Robbins was in Hawaii leading a workshop for hundreds of people of all backgrounds and faiths. 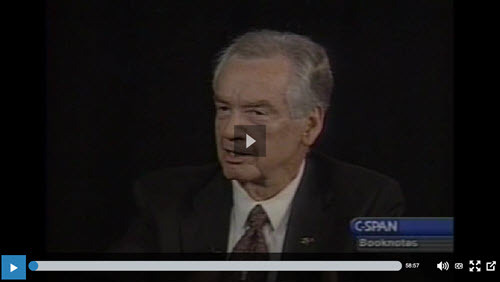 Watch how he negotiated conflict in times of crisis. John C. Maxwell is a world-renowned leadership speaker, trainer and author. This is a terrific introduction to his 21 laws of leadership. Learn these laws and you will be well on your way to becoming a true leader. Hopefully you've enjoyed our selections for Daily Actions, Interviews, Speeches/Presentations and Courses/Series/Workshops. One question we hear often is: "How do you find all this great material?" Answer: WE LOOK FOR IT. 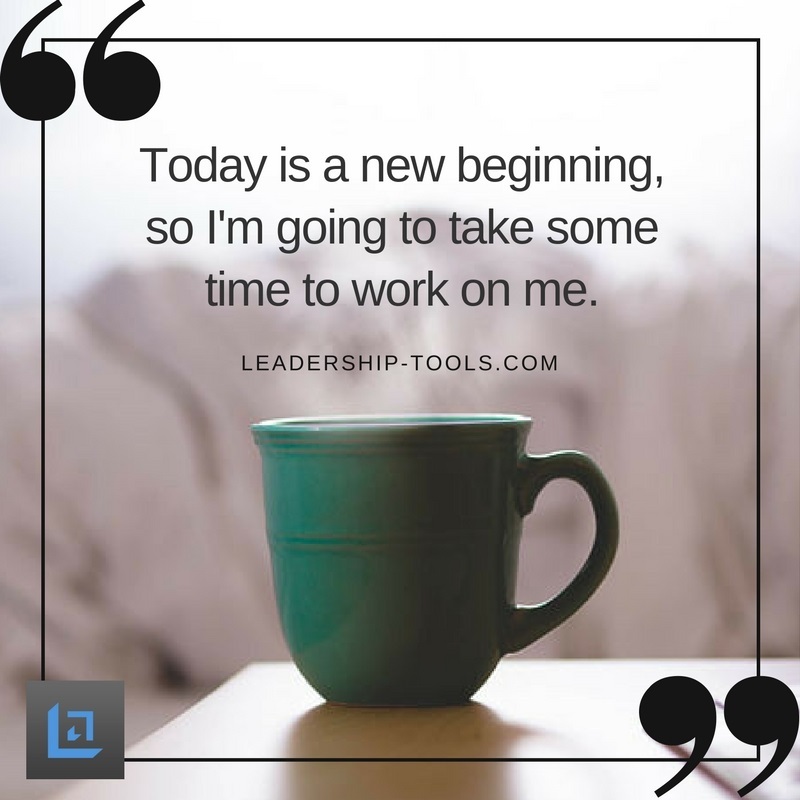 Yes, it takes time to find the right kind of self improvement or leadership development content, but in doing so we always discover a new speaker, a new resource or a new idea. The time you take to research quality training material for you or your team is an investment that comes back to you in the form of personal growth and increased credibility as a leader. We realize that in some cases you don't have time to show a 30 minute interview or a 1 hr speech, let alone a 3-5 hour workshop. If that's your challenge, then be sure to check out our page on Leadership Video Short-Clips, a perfect solution to tee up a conversation at your next team meeting. Lastly, we'd love to hear your comments or suggestions - we invite you to Contact Us with your feedback.